PICQUET, FRANÇOIS, priest, Sulpician, and missionary; b. 4 Dec. 1708 at Bourg-en-Bresse, France, son of André Picquet and Marie-Philippe Berthet; d. 15 July 1781 at Verjon (dept of Ain), France. After studying at the Jesuit college in Bourgen-Bresse, François Picquet then entered the Séminaire de Lyon in 1728. He took further training at the Séminaire de Saint-Sulpice in Paris, where he was ordained priest on 10 April 1734. That summer he arrived in Montreal (Que.) and served in the parish ministry there until 1739, at the same time learning Indian languages and customs. From 1739 to 1749 he lived at the Sulpician mission of Lac-des-Deux-Montagnes (Oka, Que. ), which had been founded in 1721. Picquet can be credited with writing a few hymns and catechetical texts in the Iroquois language, but, despite an enthusiastic tradition to the contrary, he was not responsible for the Calvary at Oka, built by his colleague Hamon Guen* in the period 1740–42, or for other mission buildings, which had been erected well before his arrival. His main vocation – to win over to France all Indians living to the south of the Great Lakes – seems to have taken shape about this time. In 1745 Picquet went with some Iroquois to Quebec, where Intendant Gilles Hocquart is supposed to have conferred upon him the title of “apostle to the Iroquois”; he also met Governor Charles de Beauharnois*, who congratulated him on his work with the Iroquois. 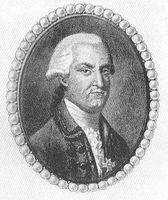 On 5 Oct. 1748 Roland-Michel Barrin* de La Galissonière, the commandant general of New France, informed Maurepas that Picquet would soon leave for Fort Frontenac (Kingston, Ont.) to find the best place to locate a village for Indians seeking Christian conversion. He chose a site downstream from Mille-iles (Thousand Islands, Ont.) at a strategic point on a narrows in the St Lawrence. 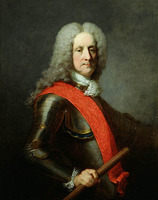 In March 1757 Picquet was rewarded with a pension from the king. Two months later he undertook secret negotiations with the Oneidas which resulted in a more durable alliance. 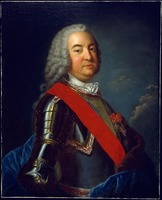 But as the fighting intensified Governor Vaudreuil [Rigaud] decided to place a military commandant, Claude-Nicolas de Lorimier* de La Rivière, at Fort de La Présentation. Insulted by this division of authority, the autocratic abbé withdrew in March 1758 to his former mission of Lac-des-Deux-Montagnes and did not emerge until 18 May. “Abbé Picquet appeared this morning from the depths of his retreat; he is like a seigneur of the royal court, who, dissatisfied, has spent two months on his estates,” noted Montcalm; the latter, a good Frenchman, sided with Picquet against the governor. 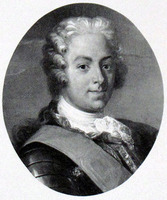 The grateful Vaudreuil appointed the affable Antoine-Gabriel-François Benoist as commandant to replace the bad-tempered Lorimier. And when he put Pierre Pouchot* in provisional command of La Présentation in March 1759, Vaudreuil gave him strict injunctions “to show Abbé Picquet all the respect due his character and his prestige among the tribes.” Yet the French resistance was crumbling. 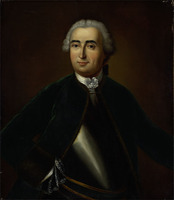 Vaudreuil, Lévis, Montcalm, and others might be unceasing in their praise of Picquet, who “has fought like a warrior,” but he sensed after the failure of Louis de La Corne*’s expedition to Oswego in July 1759 that the end was imminent. Aware that the fortifications at La Présentation were inadequate, he decided to move his mission to a nearby island, Île Picquet. But the Indians there, “who are starving,” began to flee. In the winter of 1760 Picquet went to Montreal for help. Wasted effort! All he could do was return to the island, in March 1760, rally the most desperate Indians, and in the summer take them to Montreal, now shorn of its own empire. Unwilling, apparently, to submit to the new master, and perhaps because a price had been set on his head, Picquet secretly left Montreal just before its capitulation with 25 Frenchmen and a few Indians. In July 1761 he arrived in New Orleans, where he stayed until April 1763. He then made his last voyage back to France. His difficulties were by no means over. He was denied a pension – this man who, Lalande claims with his usual studied care, “could say that while he was in Canada there were no glorious actions for France in which he did not have a large part.” The general assembly of the clergy of France, however, came to his aid and paid him l,200 livres on two occasions, in 1765 and 1770. In 1772 Picquet decided to return to his native Bresse, first exercising the parish ministry at Verjon until 1775. Finally the quick-tempered priest became chaplain to the nuns of the Visitation at Bourg-en-Bresse and held this office until 1779. In March 1777 he went to Rome, where Pius VI accorded him a private audience; “his” Visitation nuns presented him in one of their circulars as “known in the four corners of the world . . . loved by the people, respected by the Indians, esteemed by the great and particularly by Louis XV, who like the Pope had given him every sort of authority and power.” That was enough to persuade him to retire and he bought a house and property near Cluny in 1779. In 1781 business brought him to Verjon, where he died of a haemorrhage and dropsy on 15 July. Coll. des manuscrits de Lévis (Casgrain), I, 198; II, 187; V, 254–55, 307; VII, 119, 206, 481; VIII, 97, 103; X, 189, 204. J.-J. Lefrançois de Lalande, “Mémoire sur la vie de M. Picquet, missionnaire au Canada, par M. de la Lande, de l’Académie des Sciences,” Lettres édifiantes et curieuses, écrites des missions étrangères par quelques missionnaires de la Compagnie de Jésus, Y.-M.-M. de Querbeuf, édit. (nouv. éd., 26v., Paris, 1780–83), XXVI, 1–63. “Les malignités du sieur de Courville,” BRH, L (1944), 69–70. [A.-J.-H. de Maurès de Malartic, comte de Malartic], Journal des campagnes au Canada de 1755 à 1760 . . . , Gabriel de Maurès de Malartic et Paul Gaffarel, édit. (Dijon, France, 1890). Louise Dechêne, “Inventaire des documents relatifs à l’histoire du Canada conservés dans les archives de la Compagnie de Saint-Sulpice à Paris,” ANQ Rapport, 1969, 147–288. André Chagny, Un défenseur de la “Nouvelle-France,” François Picquet, “le Canadien” (1708–7781) (Montréal et Paris, 1913). Frégault, La guerre de la Conquête. Pierre Rousseau, Saint-Sulpice et les missions catholiques (Montréal, 1930). M. Trudel, L’Église canadienne. J.-G. Forbes, “La mission d’Oka et ses missionnaires,” BRH, VI (1900), 147. A.[-H.] 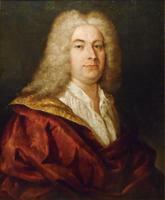 Gosselin, “Le fondateur de la Présentation (Ogdensburg): l’abbé Picquet (17341760),” RSC Trans., 1st ser., XII (1894), sect.i, 3–28. Olivier Maurault, “Quand Saint-Sulpice allait en guerre . . . ,” Cahiers des Dix, 5 (1940), 11–30. J. R. Potter, “Le calvaire d’Oka,” Vie des arts (Montréal), XIX (1974–75), no.76, 88–89. P.-G. Roy, “Pierre Margane des Forêts de Lavaltrie,” BRH, XXIII (1917), 71–77. Joseph Tassé, “L’abbé Picquet,” Revue canadienne (Montréal), VII (1870), 5–23, 102–18. Têtu, “Le chapitre de la cathédrale,” BRH, XV, 97–111. Robert Lahaise, “PICQUET, FRANÇOIS,” in Dictionary of Canadian Biography, vol. 4, University of Toronto/Université Laval, 2003–, accessed April 22, 2019, http://www.biographi.ca/en/bio/picquet_francois_4E.html.